SINGER Simple 3232 Portable Sewing Machine + 32 Built-In Stitches is currently selling at $97.00, approximately $5.40 lower than average, giving a potential saving of $19.28 right now. With a lowest price of $73.00 and an average of $102.40 it is selling on the high end of its usual range. Price volatility is 2.53% (meaning it does not change often), so you might have to wait a while for the price to drop. Right now this product is a recommended 'ok deal'. 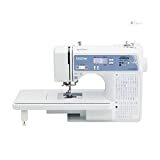 Compare the current price, savings (in dollars & percent) and Buy Ratings for the top Sewing Machines that are closely related to SINGER Simple 3232 Portable Sewing Machine + 32 Built-In Stitches. 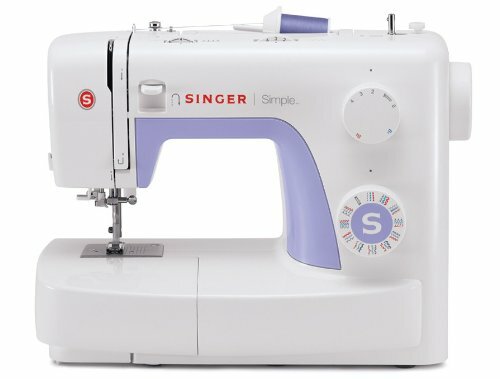 Here is how SINGER Simple 3232 Portable Sewing Machine + 32 Built-In Stitches compares with other leading Sewing Machines. The SINGER Simple 3232 portable sewing machine is the perfect sewing machine for beginner sewists. With a built-in needle threader, quick-and-easy threading, and adjustable stitch length and width, getting set up to sew is fast and easy. 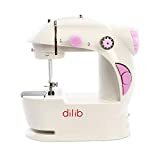 Basic features including 32 built-in stitches, a built-in 1-step buttonhole, and a variety of included accessories provide you with just enough to make sewing creative projects fun and easy. If you need a little assistance, there is an Online Owner’s Class video available anytime you are. Set Contains:Accessories Included: All-Purpose Foot, Zipper Foot, Buttonhole Foot, Button Sewing Foot, Seam Ripper with Lint Brush, Edge/Quilting Guide, Needles, Thread Spool Caps, Bobbins (Class 15), Screwdriver, Darning Plate, Soft-Sided Dust Cover, Machine Intro DVD, Instruction Manual with Stitch Guide, Foot Control, Power Cord. FeaturesSINGER PORTABLE SEWING MACHINE: The SINGER 3232 portable sewing machine features 32 built-in stitches, a built-in 1-step buttonhole, built-in needle threader and a heavy-duty metal frame making sewing creative projects fun and easyAUTOMATIC NEEDLE THREADER: Threading the machine is so easy that you can have the entire machine threaded, from the spool to the needle's eye in seconds. The built-in needle threader helps you thread the eye of the needle effortlessly.SEWING SPEED: The SINGER 3232 sewing machine has a maximum speed of 750 stitches-per-minute, so larger projects can be sewn quickly.HIGH PRESSER FOOT LIFTER: The SINGER Simple 3232 sews several layers of thick fabric. The presser foot can be raised to a higher position for easy positioning of your project.